Mumbai (7TH Feb. 2019): Here comes the new trending news in India from Mumbai city. Lives of school students were put at risk by a bus driver of Santacruz’s Podar Educational Complex when the vehicle hit a Khar resident’s BMW car near Madhu Park in Khar (West) on Tuesday morning. 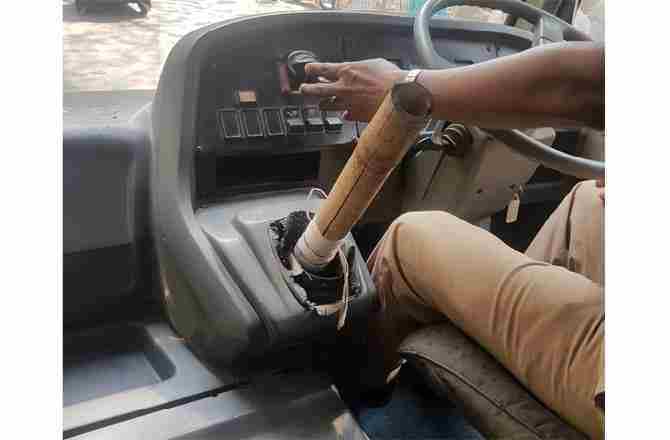 The businessman chased and stopped the bus to find that driver Raj Kumar (21) had been using a bamboo stick as a makeshift gear lever to operate the vehicle. Shocked over the negligent act, he called the police control room, and the driver was promptly arrested. He was released on bail later. Source of Information: “Times of India” published on 7th Feb. 2019.